Microsoft today launched a new plugin for Visual Studio called Bing Developer Assistant. 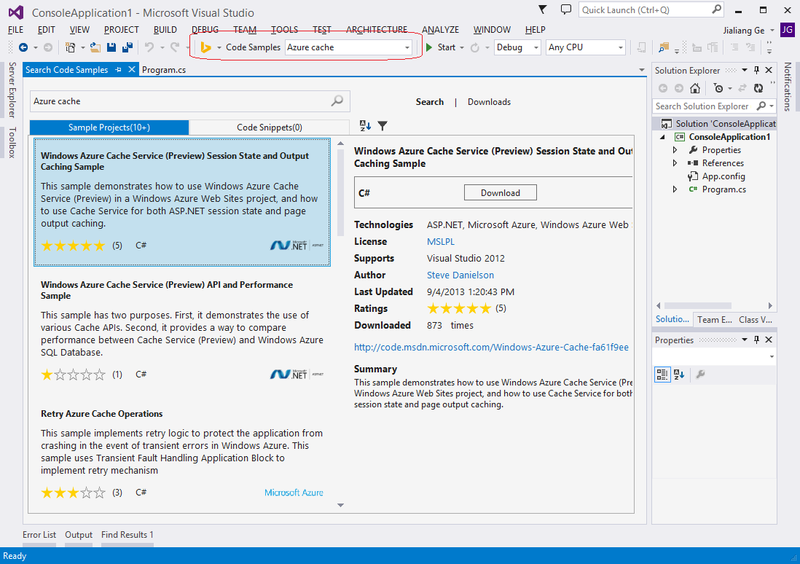 The tool, which is available for both Visual Studio 2012 and Visual Studio 2013, helps developers find code snippets and samples directly from within the IDE. In fact, Bing Developer Assistant is actually a combination of two other Visual Studio extensions: Sample Browser and Bing Code Search. Developers told Microsoft that they wanted a more efficient in-product search experience that would allow them not only to find sample code quickly while in Visual Studio, but would also let them pull relevant snippets into their projects. Eager to please developers, Microsoft went out and built it. First off, the plugin has IntelliSense integration: while coding, a relevant code snippet (C# only for now) related to your current API will be automatically displayed in the IntelliSense window. You can copy the code, click the source URL to view where the code snippet comes from, or click “Search More” to find more code samples related to the API. The Sample Browser window provides one-click access to example code. Just enter your programming needs into the Visual Studio toolbar, and you’ll get code snippets and code sample projects (complete Visual Studio demo solutions that you can download, build and run). Last but not least, the tool offers a highly-requested feature: offline search. In short, this means you can search for code among your local or downloaded sample projects even when you are disconnected from the Internet. Both the IntelliSense experience and the Sample Browser main window are fully functional offline. Just make ensure Visual Studio is configured to index your local sample folders (Tools => Options).